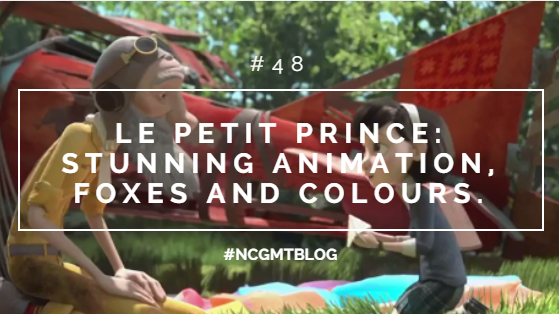 Le Petit Prince: Stunning Animation, Foxes and Colours. For those who are new to the blog, I have a huge interest in film. I’m always checking Youtube.com for new film trailers, or watching old ones. I like to keep up to date with the films generating Oscar buzz and some of the more lesser known films. While on Youtube I found myself searching for film trailers.. Recently I came across a beautiful film trailer of an upcoming film. 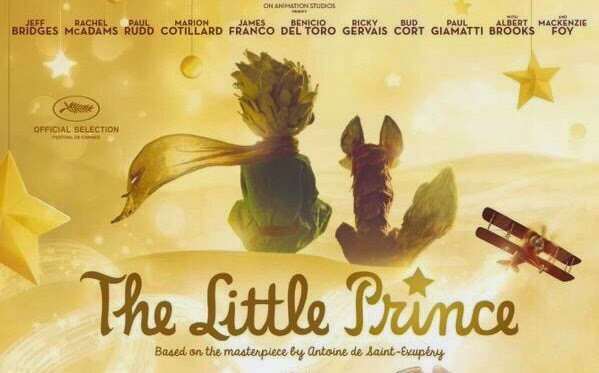 It’s called “Le Petit Prince”.Of course, there is an English language version being released, but the French version was the one I discovered first.I studied the language for six years and am by no means fluent, but I still enjoyed the trailer.This is the first animated feature film adaption of the novella and was shown at the 2015 Cannes Film Festival. I was genuinely moved watching the trailer, especially during the scenes between The Little Prince and the fox. Animation is something I absolutely adore, when done right it can be breathtaking. Some of my favourite films are animations. I did a blog post on Oscar nominated Irish film studio Cartoon SaloonThe animation in "Le Petit Prince" is lovely and what I really really like is that the animators are French and the work is not done by internationally famous animation studio “Dreamworks”. I like when other animation studios get their big breaks. The film was animated by a small French-based studio called ON Entertainment. What is particularly notable is the animation of the little Prince and the fox. The story genuinely touched me and no doubt countless French children were brought up being read this novella. The film is directed by Mark Osbourne, the director of "Kung Fu Panda". The film is done in an interesting way, the dream-like sequence of the story of the little prince is done in stop motion animation whereas the little girl's story is CG-animated. The two types of animation work together brilliantly in my opinion and I have to confess I prefer the stop motion animation sequences. Nonetheless, the film is beautiful. We meet The Little Girl, who's being prepared by her mother for the an adult world. Then she meets The Aviator, her eccentric and kind neighbour who tells her his story, of how he met The Little Prince and the world from which The Little Prince came from. The Little Girl begins to learn how being a child is essential and that human connections are what really matters. 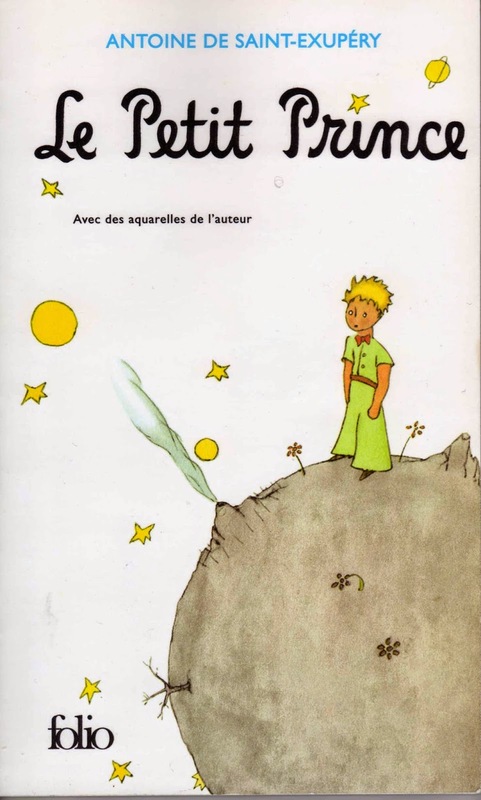 D'après le chef d’œuvre d'Antoine de Saint-Exupéry. Duration: 1 hr 48 mins. Mackenzie Foy - The Little Girl. The film, not the first of its kind, is based on a novella first published in 1943 by French aristocrat, writer, poet and aviator Antoine de Saint- Exupéry. I hope that it’s see the French language version here in Ireland as opposed to the English language version, because I think that because the film is based on a French book, it would be better to see it in French, with English subtitles. The author himself illustrated the book and even the cover of the book is lovely. It features The Little Prince and the planet from which he came from. Antoine de Saint- Exupéry's "Le Petit Prince" is said to be an "iconic masterpiece", many film adaptations have been made, but never an animated film, until now. A beautiful song by Gabrielle Aplin called "Salvation" is played during the trailer, a song I knew before seeing the trailer and it's gorgeous. I did some research and the date for release in Irish cinemas hasn’t been announced yet but I will the date once I find out. For more information on the film visit IMDB.com. 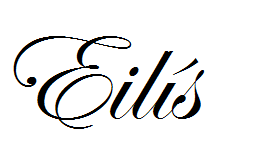 Thank you for reading and I really hope you enjoyed the film trailer. Thank you! One of my favorite books, and I didn't even know about the movie! Liked your description. Glad to see that the movie seems to be sticking with the original English translation by Katherine Woods.